For all the excitement and politically tinged analysis that FIFA’s 21st World Cup brought to Moscow, the books market seems to have come out cheering, too, with tourists said to be asking for Russian reads. 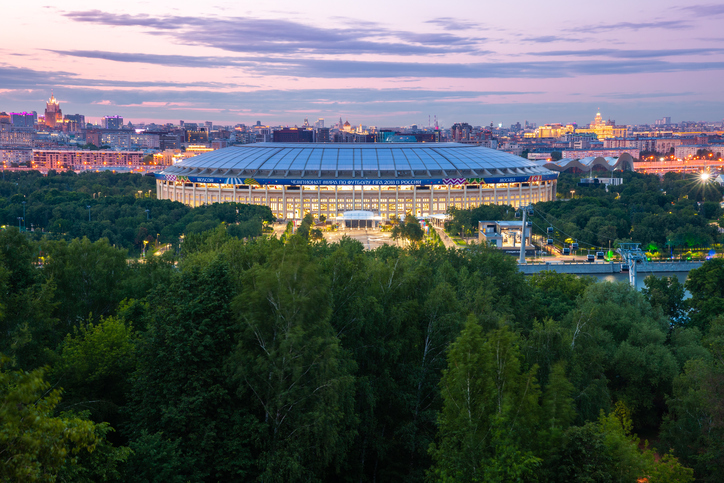 The World Cup that concluded with France victorious on July 15 at the Luzhniki Stadium in Moscow has resulted in a significant increase of interest from foreigners in Russian literature, according to comments from government officials and some book industry players. According to state statistics, more than 1 million foreign tourists and football fans visited Russia in the first two months of this summer, contributing a growth in book sales reported to be almost 50 percent higher than were seen in the same timeframe of 2017. The purchases behind the big boost are being attributed to those international visitors. At the bookstore chain Moscow House of Books, Nadezhda Mikhailova tells Publishing Perspectives that the biggest demand among international tourists was for classic Russian literature, but requests for contemporary Russian content was negligible. 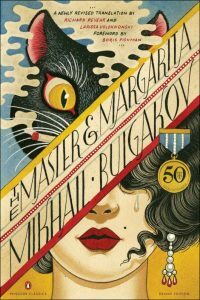 Mikhailova says the single modern-era author who proved to be an exception was Mikhail Bulgakov (1891-1940). Sales of his books have jumped, she says, by close to 30 percent since May. At the same time, booksellers report, translations of The Master and Margarita were also heavily requesed in Spanish, Italian, German and other languages. 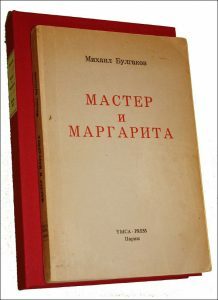 One other title is being mentioned from the modern era, Boris Pasternak’s Doctor Zhivago (1957). Beyond the relative modernity of Bulgakov, most of the requests, according to retailers, were for Russian classics. There were frequent inquiries for titles by Alexander Pushkin (1799-1837), store owners say, fueling a doubling of the normal sales levels for Pushkin titles, including the latter half of July. Chief among Pushkin requests: Eugene Onegin (serialized between 1825 and 1832). In response to questions from Publishing Perspectives, spokespeople with the ministry of science and culture say other authors and titles focused on by visiting World Cup travelers included Leo Tolstoy’s Anna Karenina (1878) and Fyodor Dostoevsky’s The Idiot (released in serial form in 1868 and 1869)~the Tolstoy and Dostoevsky are reportedly the leaders in requests from American World Cup visitors. Visitors from the States, some reports indicate, were the main consumers of Russian books, but this is normally the case, booksellers say, not something limited to the summer’s World Cup tourism. Alexander Leonov, a senior staffer with the department of Russian and US cultural cooperation at Voronezh State University, says that Russian writers and especially the classic names have always been in high demand among American visitors. Leonov says that in a book like Dostoevsky’s The Possessed (1871 and 1872), he draws a parallel between aggression in the era of the Russian Revolution and fears of contemporary terrorist activity, particularly in settings of perceived urban danger and contexts of rebellion in different eras. In nonfiction, English-language guides to the 11 cities with the 12 World Cup venues—Kaliningrad, Kazan, Moscow, Nizhny Novgorod, Rostov-on-Don, Saint Petersburg, Samara, Saransk, Sochi, Volgograd, and Ekaterinburg—were, not surprisingly, the top draw at bookstores and other outlets. More from Publishing Perspectives on the Russian book market and industry is here.